We've designed our company to meet your company's cleaning specifications in carpet cleaning, window cleaning, maidservice, and many other services. 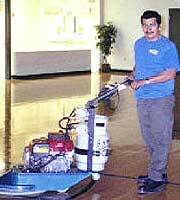 "To provide the best janitorial services to all our customers. Our goal is to achieve total customer satisfaction by consistenly delivering top quality services and by building enduring relationships with our customers." Here at Big "M" We truly care for each customer. We build enduring relationships by understanding and anticipating our customer's needs and by serving them better each time than the time before. Big "M" customers can count on us to consistently deliver superior services that help achieve their personal and business goals.